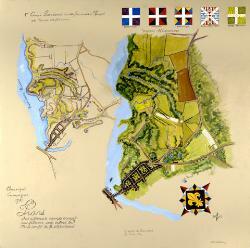 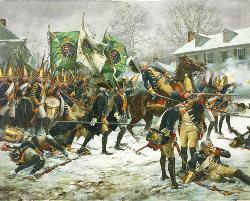 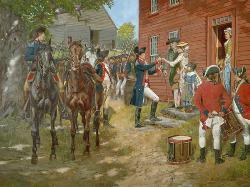 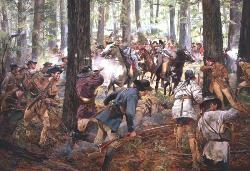 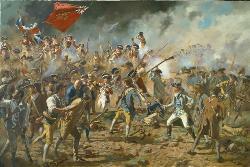 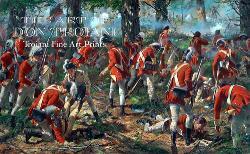 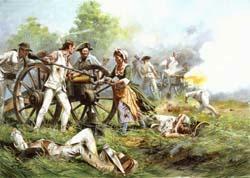 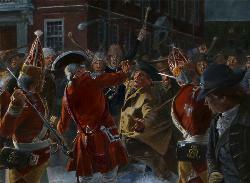 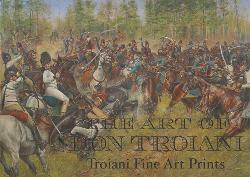 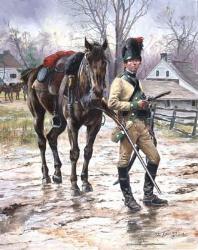 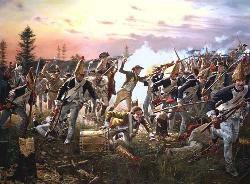 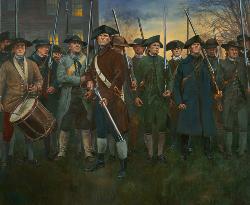 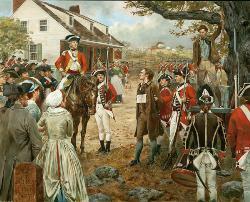 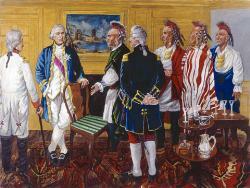 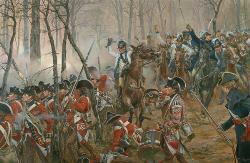 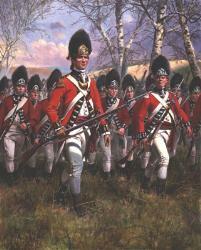 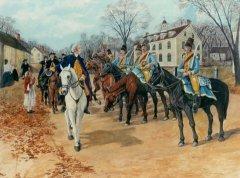 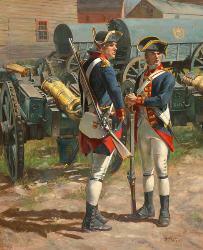 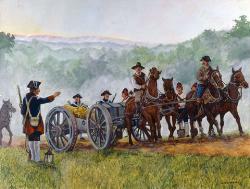 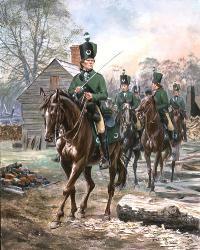 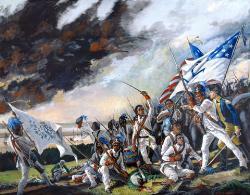 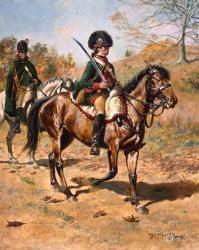 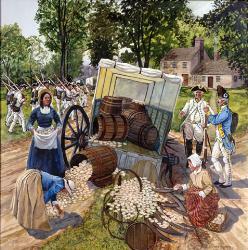 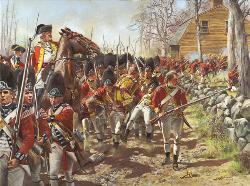 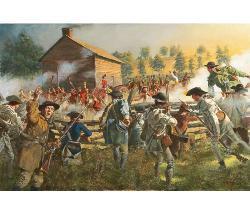 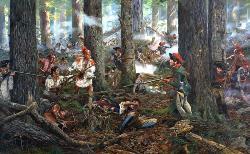 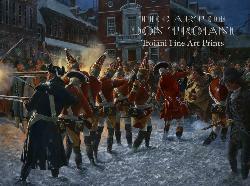 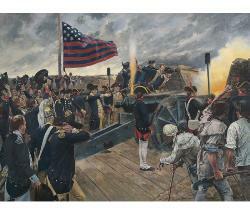 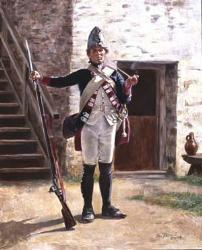 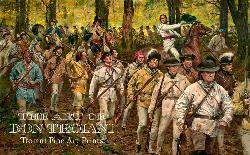 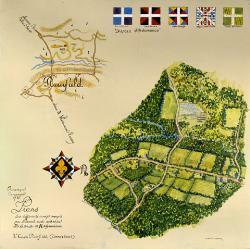 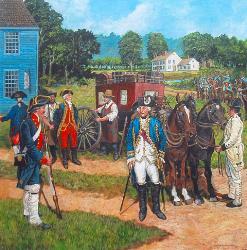 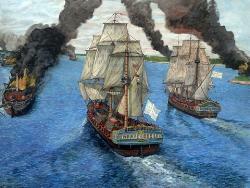 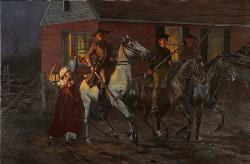 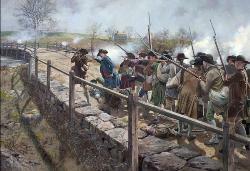 In October 1779, the Virginia State Assembly enacted legislation to raise a "Western Battalion" of state regular troops to protect her frontier and keep open the supply and communication lines between the state regular and militia forces far to the west in the Ohio Valley (including George Rogers Clark's Illinois Regiment, raised two years earlier). 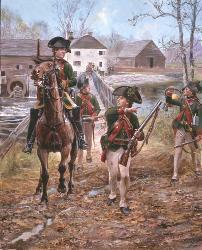 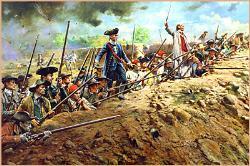 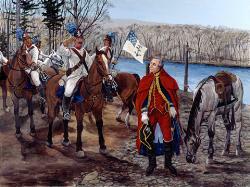 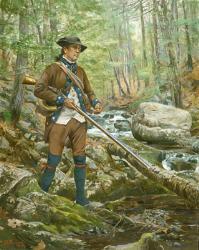 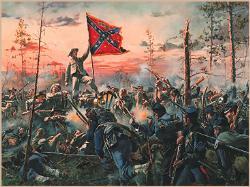 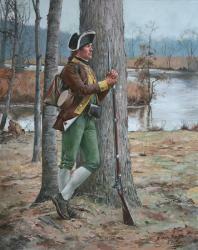 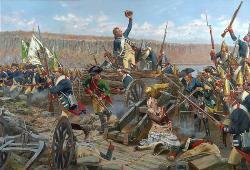 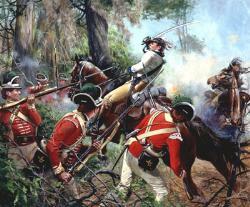 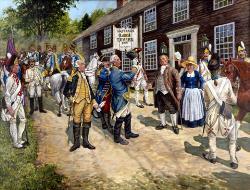 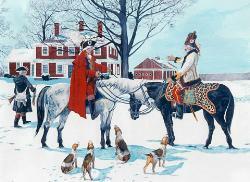 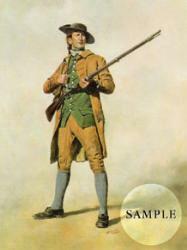 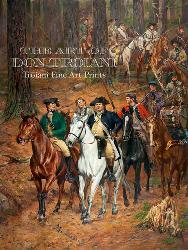 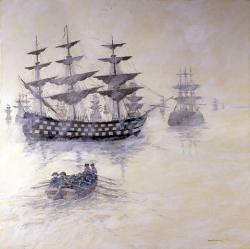 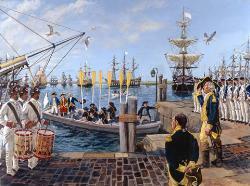 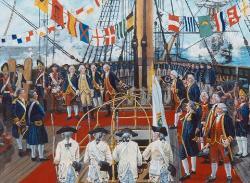 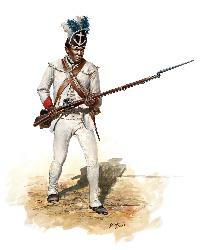 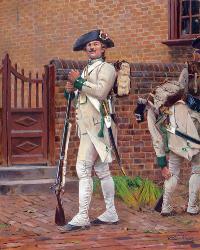 Ordered to join Greene's Southern Army in February 1781. 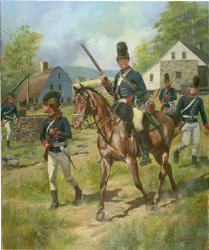 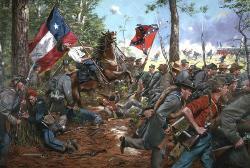 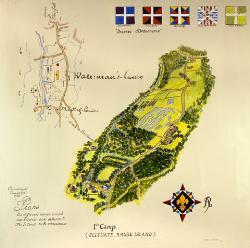 The regiment had already begun its march into the Carolinas when it was diverted westward, joining Clark's forces then assembling at Yohogania Court House (now West Virginia) for a proposed expedition to take British-held Detroit on 23 May; it was not until August that most of the battalion, along with the other volunteers and regulars in Clark's little army, took the field. 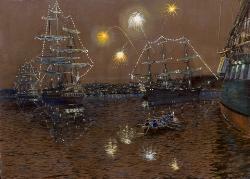 Overall: 15 3/8" x 20" Image: 11 3/8" x 14 1/2" CANVAS GICLEE: 16" x 20"